If you are anticipating a post about a pampering, relaxing day at a spa in the magnificent city of Carcassonne, you might be disappointed. On the other hand, if you love dogs and cats you will, hopefully, enjoy this post. SPA stands for Société Protectrice des Animaux and is the equivalent of the RSPCA. In Carcassone there is also the Dog Rescue Carcassonne. DRC is, basically, the English-speaking interface of the SPA Carcassonne. 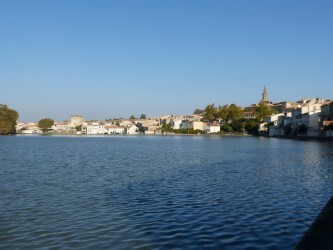 The main aim of the association is to find homes for the dogs at the SPA Carcassonne. The first Sunday of every month, there is an open day at the centre and I couldn’t wait to go! Monsieur FF came too. Although, he is also a dog lover, I think he had visions of me returning with a whole pack of hounds. I don’t blame him. I used to volunteer at a greyhound and lurcher rescue centre and surprise, surprise – we did end up with a dog who became a wonderful addition to our family, joining our Flatcoat Retriever. The rescue centre is on the outskirts of Carcassonne, not far from the hospital. We were welcomed by a lovely Scottish lady who gave us a tour of the centre. There were dogs of all shapes, sizes and ages. Many are accommodated with another canine companion but not all. Many have had very sad lives up to this time; it really does break your break your heart. However, you cannot underestimate the time and effort that is put into finding the appropriate homes for the dogs. There was a lot of barking but there would be, after all, they all wanted to get our attention. These signs are attached to every kennel. They give some information about the history and the nature of each dog. Black dogs and cats are often overlooked at rescue centres, the world over. We thoroughly enjoyed our walk around the fields that are behind the centre. Obviously, the dogs cannot be let off the lead but it is a wonderful opportunity for them to have some time out of their enclosures. Since our first visit, we have been back and done some more dog walking. Something we hope to be able to do on a regular basis when we are in France. Happily, since I first wrote this post, Kalou has been rehomed. 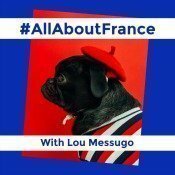 I am linking this post with #AllAboutFrance. Do have a look if you want to read lots of interesting posts connected with France. ← Top Ten French Films..?! That’s a really nice post June. It’s good to be reminded that animal rescue services are known throughout the world!!! Thanks, Catherine. Your Chippy is a rescue (shelter) dog, isn’t he? What a lovely post June and how great that you were able to walk the dogs. I read the local paper when in France and see so many animals that need homes, as they do here in the UK. I lost my own cat two years ago and have since bought the van in France so decided it was not practical to adopt another cat. However, I am now a fosterer for the Cats Protection and when I’m home for a significant period I look after cats that are waiting for new homes. There are so many that they cannot all possibly be housed in the local centres and fosterers are a good temporary solution both for cat and fosterer! I am currently looking after Bess, a pretty black and white puss, she attended the monthly homing show last week but no luck as yet, she is so affectionate someone will soon love her. It sounds like you too will soon have some feline friends to take care of, I hope it works out for you. Are you intending to move to France permanently in the near future? Thanks, Fiona. I’ve owned a total of three cats and they all came from the Cats Protection. How fantastic that you are a fosterer for the CP; must be so rewarding. Bess sounds gorgeous! Your last question is an interesting one. There was a time when I imagined we would relocate permanently to France but, for all sorts of reasons, I don’t see that happening. But never say never! I think we are so lucky to have homes in both countries and to be able to divide our time between them. It’s heartbreaking how many animals need homes. We have 2 Weimaraners so have our hands full but we had kittens dumped in our woodshed which we kept and neutered. How lovely that you can enjoy some kitten cuddles and give them a good start in life. I love Weimaraners! They are stunning dogs. There seem to be a lot of feral cats in France. Thanks for commenting. What a nice post. My daughter is just about to take on a rescue dog. She gets him on Saturday. He is cross between a Cocker Spaniel and Bedlington. I had a beautiful Golden Retriever when I was younger. Thank you. How exciting! I applaud your daughter. It’s can often be a bit of a challenge with a rescue but so worth it. I do hope you’ll post a photo of the dog. I can’t quite imagine what a Cocker Spaniel cross Bedlington will look like! Golden Retrievers are delightful dogs. PS – I host the monthly link up #AnimalTales on my other blog, A Green and Rosie Life, and would love you to link up if you wanted to. The next one opens on Nov 14th. Thank you for commenting, Rosie. I’ve had one rescue dog & three rescue cats – so far! 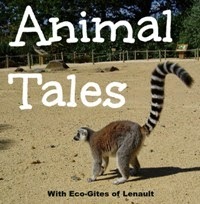 Thanks also for the invite to link up with #AnimalTales. I’m off now to have a look at your other blog! I’ve enjoyed discovering so many interesting blogs through #AnimalTales. I’ve tried linking up to the Pinterest board but haven’t succeeded. Please can you help?! Our dog Ralf is a rescue dog, I’ve added him to this months #animaltales too. I would love to foster dogs from the rescue centre but I think we need to wait till Ralf is a little older. It’s a lovely idea helping out by taking the dogs for a walk. I’ve just looked at your post about your gorgeous rescue puppy. He is divine! Thanks for your comment. The SPA Carcassonne has a very good adoption record, so hopefully Liquorice won’t have to wait too long. What a lovely idea that you can walk the dogs at least even if you can’t commit to adopting one. We don’t have a dog at home for a variety of reasons but I might look into walking dogs at one of the (many) SPAs round here. Thanks for linking this to #AllAboutFrance and highlighting this important subject. Thanks, Phoebe. For me the dog walking offers the perfect solution – for the time being! We have also just fostered a kitten, a new experience for us, for the SPA. Do let me know if you do get into the dog walking!